In a March 26 United Nations press briefing strong on fact and devoid of bigotry, the United States Peace Council, headed by Bahman Azad, just returned from their recent visit to Venezuela, presented an eyewitness account of realities on the ground in Venezuela. Their factual information drastically contradicted Western media distortions and propaganda intended to discredit the government of President Maduro. The panel included Dr. Margaret Flowers a pediatrician and co-Director of Popular Resistance.org, Attorney Kevin Zeese, also co-director of Popular Resistance.org, Sara Flounders of the International Action Center and founder of the organization No War on Venezuela. 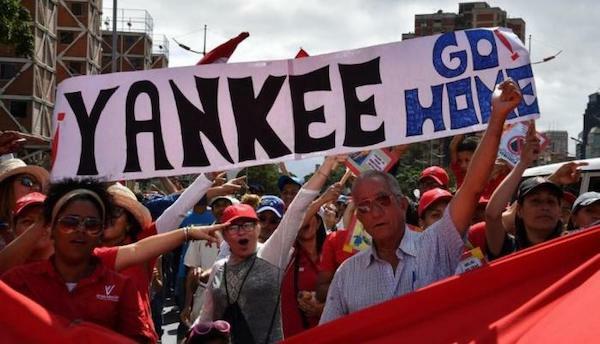 Introduction: Over the past half decade, a small army of US analysts, politicians, academics and media pundits have been predicting the imminent fall, overthrow, defeat and replacement of the Venezuelan government. They have been wrong on all counts, in each and every attempt to foist a US client regime. Indhira Libertad Rodriguez is a feminist researcher and sociologist. A member of the Araña Feminista (Feminist Spider network), she does human rights advocacy for women and sexually dissident groups. In this interview with Venezuelanalysis, Rodriguez discusses the specificity of the feminist struggle in Venezuela and the need for Bolivarian socialism to combat gender oppression.